The Jamoum University College held a lecture entitled, "Environmental Determinants of Health", in the framework of activating the "Environment Week". 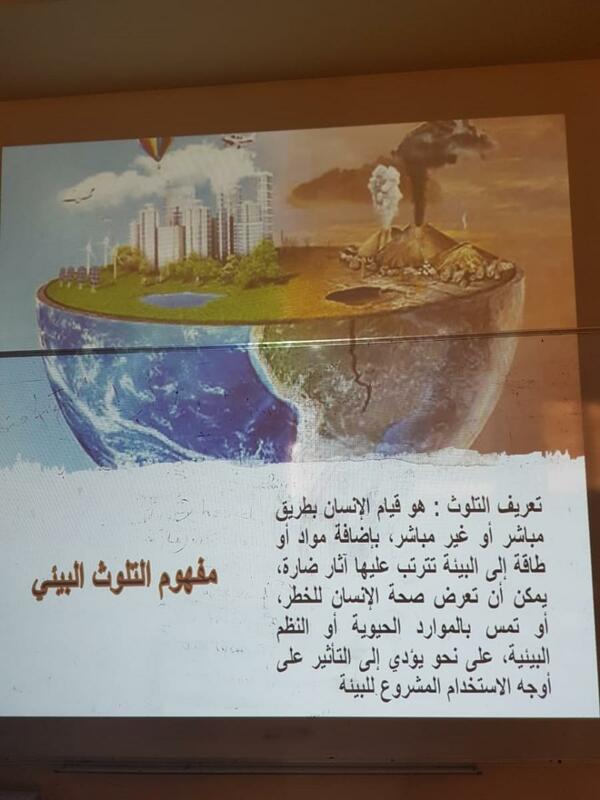 The lecture was presented by Dr. Safaa bint Yahia Manaisi, Assistant Professor in the College of Medicine at Umm Al-Qura University, on Wednesday, 13 Rajab,1440 A.H., at 10:00 a.m.
Dr. Safaa identified the environmental determinants of health, and most importantly the biological and physiological characteristics, the level of health care, the personal lifestyle, and the surrounding environment. She also addressed the causes of pollution of the environment and its impact on human health, as pollutants cause many diseases, including cancer. Moreover, she provided solutions to avoid such problems by recycling wastes, especially plastics, to reduce the heavy burden of plastic pollution on the natural environment and our health. She also pointed out the effective role of afforestation and agriculture in protecting the environment and ensuring a healthy environment for humans. Students from the College of Pharmacy also participated in the awareness campaign, "The Relationship of Health to the Environment".